Just 21 words – but I defy anyone not to read on after that taut opener, and my flight to Florida passed quickly in the company of Lehane’s lean prose. I had plucked Lehane’s Prohibition-era tour de force from the shelf mainly because it was set in Ybor City, the historic enclave of Tampa, my final destination. Ybor City was founded in the 1880s by Spanish cigar maker Vicente Martinez-Ybor and was soon populated by Cuban, Spanish and Italian immigrants who made millions of cigars each year until the Great Depression took the edge off high-end cigar consumption in the 1930s (probably in the same way that the bottom fell out of the breakfast roll trade in Mullingar petrol stations sometime in 2008). 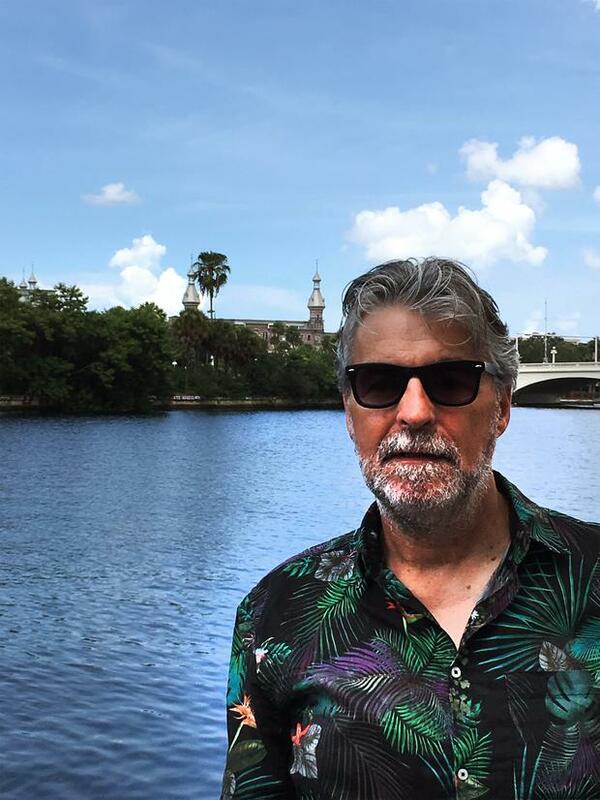 I couldn’t wait to visit Ybor City with its vibrant history of cigars, rum smuggling and music – but first I wanted to get a handle on Tampa itself. This is Florida for grown-ups – compared with Orlando anyway – and I figured a short exploratory tour in an Uber to get a handle on the basic geography of the place was the way to get started. We were staying centrally in the Aloft Tampa Downtown and it was clear this is a vibrant working city which does tourism on the side and is all the better for that. By 8am the streets are full of twentysomethings clutching buckets of coffee, checking their Fitbits and power-walking to the office in black Adidas Boosts. Tampa has been blessed by its location on the west coast of Florida on the shores of Tampa Bay, a natural harbour which leaks into the Gulf of Mexico… or perhaps the other way around. Tampa itself is in a period of rapid growth, both in terms of its population (about three million souls) and its economy. In a state which rightly, or wrongly, is often more associated with tanned retirees, Tampa has a young and energetic vibe. We breakfasted, or rather brunched, in the glass-ceilinged Oxford Exchange below a clear blue sky. It’s a stylish shopping and eating destination right beside the University of Tampa. It boasts all the usual fripperies of the hipster lifestyle, including locally roasted coffee and smashed avocados. Later that morning we signed up to the municipal rent a bike scheme (Coast Bike Share) and enjoyed a cooling and mercifully flat pedal along the boardwalk that runs for several kilometres beside the Hillsborough River. It’s a great way to see the city, and Tampa is more bike friendly that most US cities. The bikes took us to Armature Works, a one-time street-car barn, stunningly reborn as a public market and enclave of chic restaurants and bars to suit most tastes and pockets. Tampa, again showing off its hipster credentials, has become the craft brewing capital of this part of the world. There’s even a hop-on, hop- off bus tour of the local breweries – a motorised pub crawl that’s sure to satisfy the IPA and cloudy wheat beer brigade. That night we took the pirate water taxi along the Hillsborough river to an ultra-trendy riverside restaurant called Ulele which gives more than a nod to Florida’s Spanish heritage. Flame-grilled oysters were the highlight – and the value for money was outstanding. The next morning we eschewed the hotel breakfast and wandered over to La Segunda Central bakery for an authentic Cuban sandwich – just the right type of culinary ballast as we headed to Busch Gardens. I’d heard that, for many, Busch Gardens, not Walt Disney World Resort, was the premier theme park in Florida. I was a tad sceptical. Like tens of thousands of Irish parents, I had brought the kids to Orlando back in the day and retain fond memories. Busch Gardens is a little more adult, combining all the thrills of roller coasters, the tallest drop tower in the US and all the fun of the fair with a world-class African wildlife reserve and breeding programme that has helped many endangered species, including the Bornean Orangutan. Tremendous fun. Again, I was struck by the value for money. Prices were fair and there was an eclectic food offering over and above the usual fast food, and apparently there is a new super-high, super-fast thrill ride called Tigris due to open later this spring for those who have a better head for heights than me. On this holiday I decided not to hire a car, mainly because we would be spending much of our time in the downtown area of Tampa and instead used Uber throughout my six-day stay in Florida. It turned out to be a good move. I downloaded the Uber app to my phone in Ireland and with a deposit of cash to my Uber account I was ready to go. It meant I could enjoy a drink on the flight over and with my evening meals during my stay and didn’t have the expense of valet parking (up to $22 a day), the hassle of looking after a hire car and, of course, the stresses of driving – particularly in those first couple of days before you get to the pace of driving in this part of the world. Including Uber rides to and from Orlando International Airport to Tampa, (93 miles, 90 minutes) and travel to Busch Gardens, shopping trips to out-of-town malls and two, three or four local trips a day, the total Uber bill was just less than $300 (€265). We never waited more than four minutes for an Uber and it proved a real cost effective alternative to self-drive in Florida. That night, having rested up after six hours in the heat of Busch Gardens, we strolled over to the tram station in downtown Tampa just as a spectacular lightning storm lit up the skies over the bay – a harbinger of a torrential downpour to come. I’m a bit of a weather geek and loved the light show, but we picked up the pace and made it to the cover of the tram station just before the heavens opened. We could hear the cheery bell of the street-car as it arrived, but could barely see it through the blanket of rain. As it hauled to a stop we boarded the achingly pretty 1920s street-car – some of them are originals, others are wonderfully crafted replicas – relatively dry and in great spirits. It’s only 10 minutes or so from downtown to Ybor City but by the time we got there the storm had passed but for the static in the air. The puddles, reflecting the neon of the streetscape, were already beginning to shrink in the sultry heat. Ybor City remains a melting pot of nations and there are still places where cigars are hand- and machine-made by skilled craftsmen and women. The best music and the best clubs can be found here behind carefully restored red brick facades with wrought iron balconies which give it the feel of Havana. 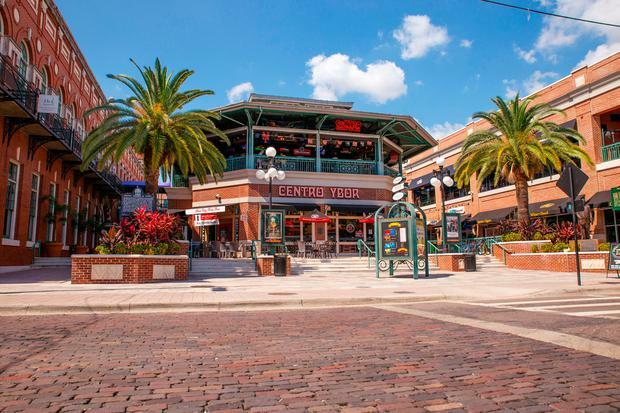 Cheek by jowl with the nightspots and restaurants of Ybor City there is a diverse array of shops ranging from designer goods, artisanal craft products and the usual tat found in all tourist hotspots. We grabbed a couple of cocktails in a noisy sports bar before heading to Columbia on Seventh Avenue, Florida’s oldest restaurant. It boasts 1,700 seats over multiple floors. That makes it sound like a barn. In fact the restaurant is divided into a dozen or so rooms creating a lovely cosiness. We also enjoyed an unforgettable soul food brunch at Ella’s Americana Folk Art Cafe, where we were served up great food and great American folk art on the walls. You’ll eat like kings in Tampa. 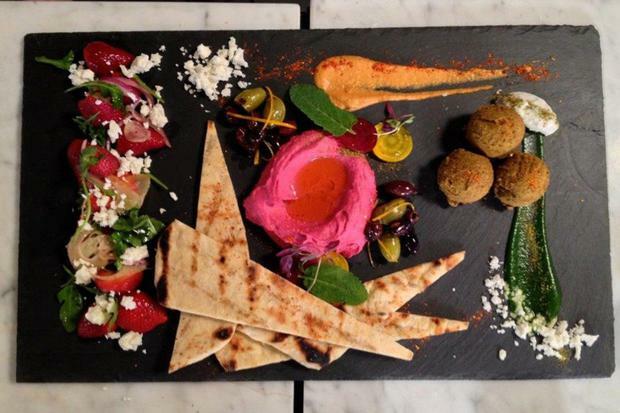 It’s a melting pot of Spanish, Cuban, Italian and African American cuisines. And there’s always a cigar to finish off with. Potato-encrusted oysters are among the highlights in Edison — a trendy ‘food+drink lab’ where chef Jeannie Pierola holds sway. She’s cooked for George W Bush, Hillary Clinton and Oprah Winfrey. Chic and fun eaterie. A lovely retail village filled with high end brand outlets, sometimes with considerable discounts — as well as unique local boutiques, a brilliant pet shop and great cafes and restaurants. Tour America has five nights at the Aloft Tampa from €1,069pp. More information about Tampa Bay: www.visittampabay.com. This feature originally ran in The Sunday Independent.